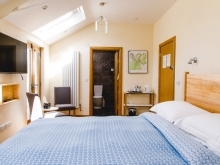 A double-bedded room overlooking the river with en-suite bath and Juliette balcony. A double-bedded room with en-suite shower at the rear of the Inn. 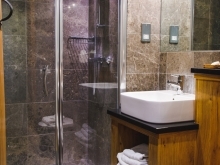 A twin-bedded room with en-suite shower at the rear of the Inn. 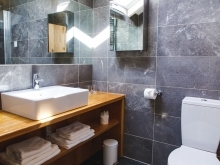 A double-bedded room overlooking the river with en-suite shower. 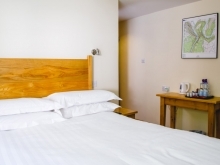 Room 11 – A double-bedded room on the ground floor ( 3 steps up ) with an en-suite bathroom.